Since the deep sea is largely inaccessible by humans without submersibles, the research team* is utilizing an elegant solution: a specialized baited underwater video cameras called Medusa. Baited underwater video cameras are an increasingly common research tool –a recent highly publicized study called them “chum cams”, and I’ll be using similar technology for my own Ph.D. research. However, the Medusa, owned by the Ocean Research and Conservation Association and loaned to CEI for this project, is unique. These cameras can film in the extremely low light found in the deep sea by using “far red” light, which doesn’t influence behavior of fishes since they can’t see light in those wavelengths. Additionally, these cameras can withstand the pressure found at over 6,000 feet, and include instruments that can measure water temperature and salinity. To date, the team has deployed the Medusa only a handful of times, but much more is planned. In addition to the valuable data obtained about these poorly-studied sharks, this project provides a valuable opportunity for education. Students at the Island School, a high school semester-abroad program affiliated with the Cape Eleuthera Institute, have gotten to participate in every step of the project. The research itself is just getting started, but Edd Brooks is excited about preliminary results and sees a lot of potential for the future. *In addition to the Cape Eleuthera Institute, the research team includes scientists from the Ocean Research and Conservation Association, the Florida State University Coastal & Marine Laboratory, Stony Brook University’s Institute for Ocean Conservation Science, and Microwave Telemetry, inc. 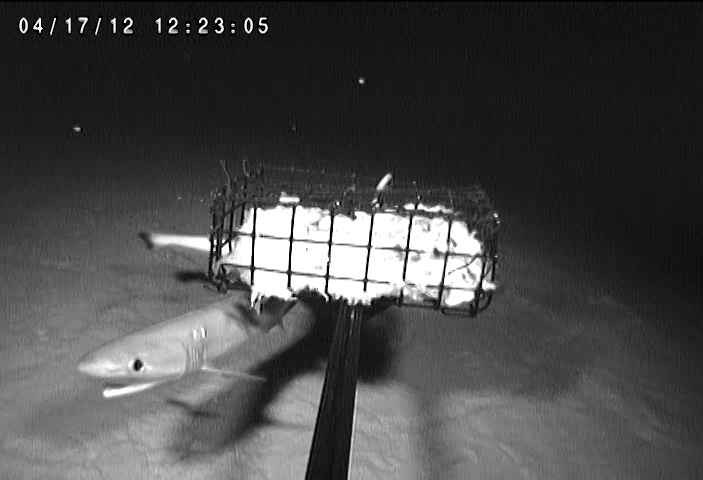 I spent 10 days at CEI last summer and was able to participate in deep-sea shark research (longlines) with the institute and Dr. Dean Grubbs. Interacting with a bluntnose six-gill shark was definitely one of the best experiences I’ve ever had. Glad to see the program is doing so well!